Anchor Lane Garage, Tideswell, Derbyshire. 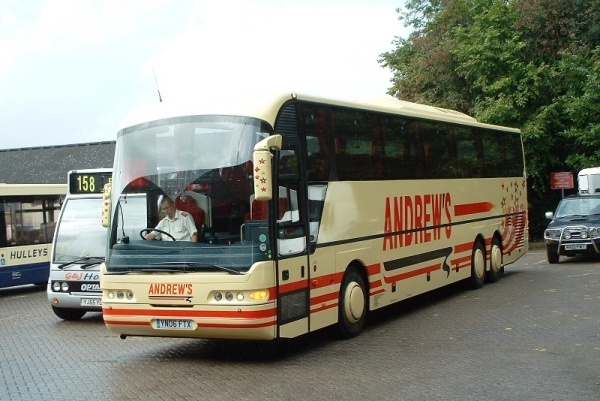 Andrews of Tideswell have been going for around 70 years and today, provide coach holidays, excursions and private hire. School contracts are also undertaken. The new EuroLiner (YN06 FTX) parked in Matlock Bus Station on Friday 29th September 2006. (C) Ian Moorcroft. Click HERE to go back to the operators index page.